Gor Mahia will for the second time at this tournament take on Al Khartoum of Sudan. The first match ended 1-1. Though coachFrank Nuttall rested many of his key players. However following their 4-0 demolition of APR of Rwanda, the Sudanese do look formidable and will begin the match as favourites in the eyes of most neutral observers. Gor Mahia for their part did not put on a convincing performance against Al Malakia in the quarters. And coach Frank Nuttall is adamant that they must shift up a gear in order to contend with Al Khartoum. “You do not expect a team to perform at the highest level when they are playing five high intensity games in 11 days. We under performed again and there has to be an improved efforts from everyone in the semis if we want to progress further,” Nuttall said to the Nation. A major area of concern is missed chances. Gor Mahia missed numerous scoring opportunities in the first half against Al Malakia. Coach Bob Ogolla has stated the team recognizes this deficiency and is working to address it. There will be no room for error against Al Malakia. “Obviously, the semi-final will be tougher and will not afford us the chances we had yesterday, so we have to be more clinical and ensure we make use of the little we get.” continued Ogolla. Indeed Al Khartoum will be no easy task considering that Anthony Akumu is somewhat familiar with Gor Mahia player strengths though the squad has changed since he left. Akumu says that though he supports Gor Mahia, he wants to help Al Khartoum win. “I respect Gor Mahia, I love the team because it gave me the platform to be where I am right now. Yes, I support Gor Mahia back home, but now this is business. Al Khartoum is my new team now, my love for Gor Mahia will not stop me from scoring that decisive penalty if at all it will be there. I will give my best in the pitch on Friday with the hope of qualifying for the finals,” Akumu told goal.com. 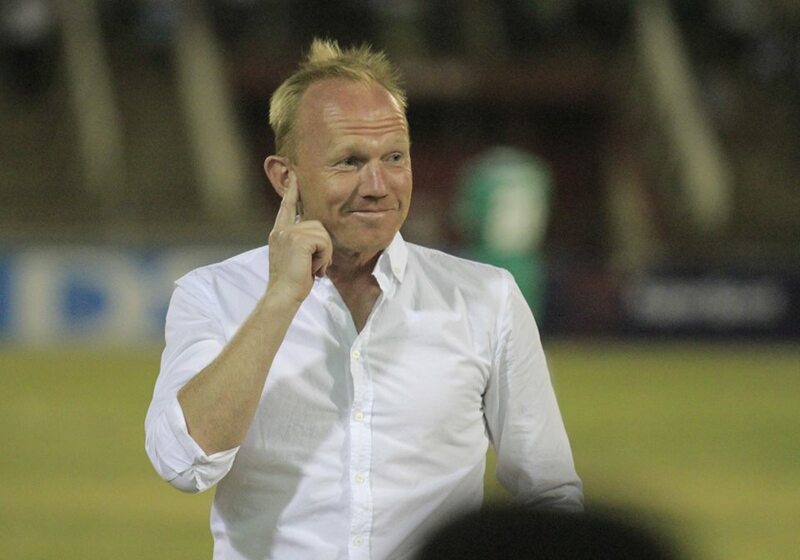 Someone is not happy with Gormahia’s progress at cecafa that is why the issue of foreign players has come up and whoever brought it up picked Gor as an example. If a player is good he is. Tuwache hii tabia Mbaya kama ya South Africa eti foreigners wanachukua kazi zetu – bad politics kenyans…. Me am for five maximum we need to compete with the players from other countries to up our game. I earlier said it on this site, Al khartoum is one of the tournaments favourite. They are very formidable, have short first accurate passes and they do not get tired thro’ 90 plus minutes. Our coach should just get his strategy right, i believe we can pull a surprise. In my view, this is the most important game after the Yanga game. The biggest hurdle for GM. I am nervous and I suspect most GM fans are judging by the muted contributions after beating Malakia game. FN should try 3 central defenders like he did in the Yanga game. @Peter Otieno, you are right, they will always discredit gors good perfomance with something. Remember locally they said gor inabebwa na maref. Now that we have disapproved them on this, they had to come up with another narrative and that is how the issue of foreign based players emerged. That is Nyamweya for you. Kimanzi is now using Black Magic with Jesse Were to score three Goals in every Games, now he is thinking that he can talk about Foreigners playing for Gor Mahia. Next time check left hand of Jesse Were what he wrapped on that hand. World over players do wraps WHITE, or any other colour but not BLACK, as that one of Jesse Were? Tume zaona na tume Haribu hiyo Kabiza forget it Mr. BM! Although we all agree that reaching the semi-final stage is a bonus, there is now an urgent need for the team to do even better and go all the way to clinch the championship. As Gor Mahia we are surrounded by the likes of Mahmoud Abbas who are blinded by hatred and envy and cannot bring themselves to accept that Gor Mahia truly deserves to be where we are at the moment. Mahmoud Abbas is so blinded with hatred that he believes we cannot make it past the semi-final. Abbas feels that we are not good enough and only luck has been on our side this far. It is for this reason that I urge the team to take the remaining matches with so much seriousness. Loud mouths like Mahmoud Abbas must be silenced….and there is only one way of doing that. Coach Kwesi Appia revealed that he sailed past APR by ensuring that his boys never gave APR a chance to play its game. He may want to apply the same on Gor Mahia. He will also want to stretch our defence. That should not be allowed to happen. Boniface Oluoch needs to be protected this time round. K’Ogalo should be the ones to deny Appia a chance to play his game and we have a midfield that is very capable of doing this. Teams have devised ways of locking Microsoft Olunga out of the game. We must help the young man to re-invent another approach to the game. Khartoum players are tall therefore we should avoid aerial balls as much as possible. Our biggest strenght lies in attacking.We also attack well on counters and runs as opposed to build ups,If you have been keen enough you will realize that most of our goals come from runs either from the wings or counter attacks and this is where Olunga and Kagere strenghts are.They have got power to run and jump high.Build ups allow opponents to close in on our strikers,not giving them space through man/police marking.This is the strategy teams have been using to frustrate our strikers. Its not easy to reach where Gor has reached today, let players to pull up their socks, al Khartoum is not hard to beat but Kenyan players are fond of making minor mistakes that in return cost them a lot. i urge players to maintain the psyche from the beginning to the end, and defense must be solid, am not a coach but this is my opinion. Aucho to Walusimbi to Olunga (goal)- All the best Gor. I am glad the game is not until Friday. That gives Kogalo time to recuperate. I also do not think GM are underdogs. When they played Al Khartoum last week, they rested some regulars and did not play to their potential. I expect GM to come to Friday’s match with all their firepower. As for Kimanzi and Nyamweya, they should stop petty jealosys. Kimanzi also has foreigners in his team but they are innefective. Its not our fault that he does not know how to use his foreigners. something in me tells me we will have a comfortable victory against Khartoum; or is the unbeaten run getting into my head;no;tomorrow,gentlemen; Gor wins and that is fate. We will press them untill they crack. We will press them hard untill their defence crack. The team has done very well so far and my prayer is they should crown it all by winning the trophy for which I request and invite blog pastor Bwana Mwakio to lead us in a victory prayer. I think Kimanzi has been instructed by Tusker whom you know are the sponsors of KPL to strategise how tusker can start winning KPL next season so that their team benefits from the sponsorship. so in my view among other things if supported by Nyamweya is to look in to how he can weaken the unbeatable champions. No matter what,all I know is that we shall overcome and be victorious today! Go Kogalo GO! The Tanzanian team now plays at favorable hour/weather from 4 while we toil in the near midday sun.Anyway the time is upon us;is it fate;no its destiny. We are destined to victory. I am elated beyond words. Glory Be To God. GO GO Mighty Gor…..
Congratulations mighty Gor. Strategise for the finals now (focus and concentration).